InterNations Chicago Official Event - Join us @ The Bassment! 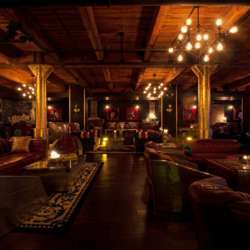 Located underneath Hampton Social in River North, The Bassment is one of Chicago's premier Speakeasies with live music starting at 9:30! With the 1960s British Invasion movement in mind, The Bassment's design includes gold accents throughout, brick walls, a mixture of uniquely designed velvet and leather couches and a full stage. - Guest list closes at 4pm on the 13th.